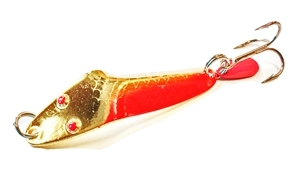 The Forty-Niner is a good casting lure, and a fabulous trolling lure. The flatfish-style head creates vibration and flutter as the flat face helps it dive. 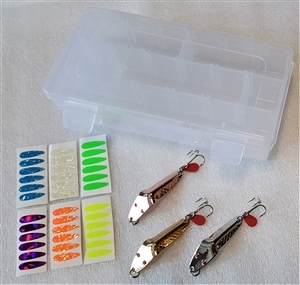 Check out the videos posted on the product pages of how this lure swims and you'll see why fish strike. The rare casting and trolling spoon that consistently lands big trout, salmon and bass. Closeout color and price. Save big. Closeout color & price. Save now! New for 2018 season! Just in - get them before the stores do.